The number one goal of writers is to create valuable, insightful and useful content. At times, this is partnered with a quickly approaching deadline or pressure to produce a large quantity of material in a short amount of time. It’s easy to let the quality of a piece of content slip if you need to produce an article quickly. However, there are a variety of ways to efficiently create content without compromising the value it brings to your audience. Checklist marketing is becoming more common among businesses as the pressure to be “everywhere” arises. 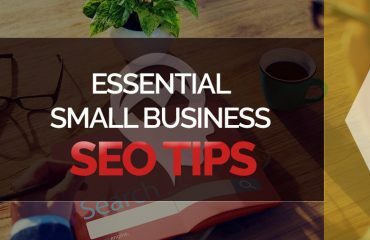 The idea that you need to have a presence on every social channel, plus maintain a blog and create guest posts in addition to other valuable content puts marketers in a position where quantity overtakes quality. It’s better to create a business strategy that focuses on one or two quality outlets for your content. When you know exactly what you want to do and have a goal for your writing, you can collect valuable assets to assist you. 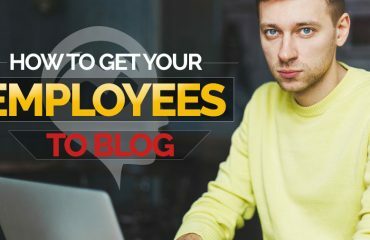 Once you’ve determined the purpose of your content and the outlets you’re going to focus on, you should begin to involve your employees. 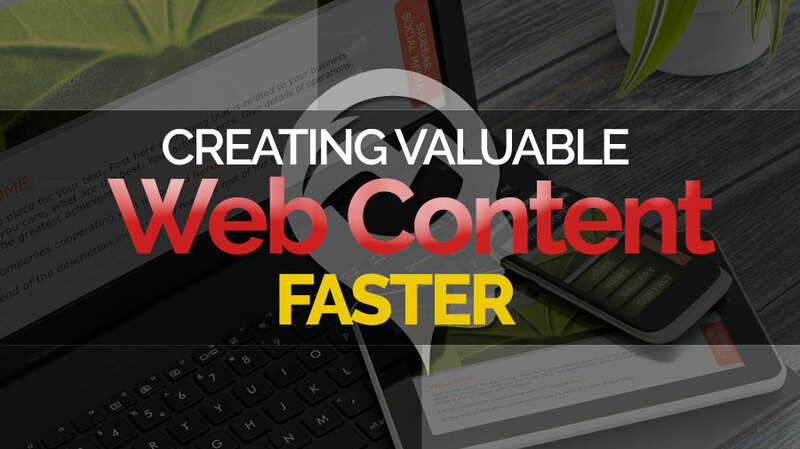 Working with them can speed up the process of finding great content and content assets. For example, if your employees know that one of the goals is to post a business quote every Friday, they can help you gather that information, which takes some responsibility off your plate when creating the post. Another way you can use your employees to create quick content is by making them the subject of your material. Try highlighting employees on your blog or interviewing them about their position and the skills they use to succeed. If done once a week, that is one less day you have to think of a unique piece of content to create. If you’re anything like me, you get ideas during strange times; in the shower, walking the dog, maybe even in your sleep. Keep a running list of every content idea that comes to you. When it comes time to write you can trash article ideas that don’t pan out and move forward with the ones that have the most potential. One of the biggest time sinks for writers is sitting down and determining what to write. There are a variety of ways to keep track of your editorial ideas. If you’re always coming up with ideas outside of work, you can use the notes app on your phone to keep your thoughts in order. You can also create drafts within WordPress or use the free WordPress Editorial Calendar app to keep track of ideas. Repurposing is one of the easiest and most efficient ways to continually push out valuable content. Repurposing content starts from the beginning stages of writing. When creating your outline, consider different ways you could use the piece of content you’re creating. If you’re writing an article, can it also be turned into a list? Would the information be valuable as an infographic format? Could it be broken into multiple blog posts to make a series? 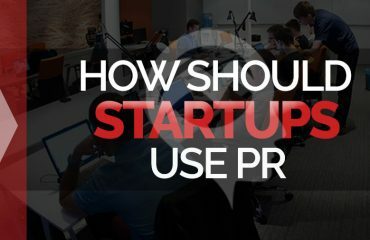 Thinking ahead about how you can repurpose content can save you the time you’d spend in rewriting an existing article. In the marketing world, this is called “Evergreen content”. Essentially, this type of content never gets old or outdated with trends. It may seem like this is a small portion of your materials, but you may be surprised at how much of the writing you’ve created is still as valuable today as it was several years ago. The great thing about Evergreen content is it continues to drive traffic over extended periods of time and can be repurposed time and time again with minor tweaks. Don’t forget to consider how you can repurpose your content for social media and other visual sites. Another tactic is to publish a handful of articles and see which ones get the most traffic and then repurpose those into a variety of different channels. Batch writing refers to creating a bulk amount of content for your blog at the same time. The strategy gets a good and bad rap. On one hand, for business owners, batch writing can save time and increase efficiency and productivity. However, if not done cautiously, it can run you into trouble. One potential concern with batch writing is that the content you create today may not be relevant down the road when it’s ready to be published. With how quickly the industry changes and trending content varies, you’ll want to be sure only to batch write on topics you know will be relevant when you’re ready to publish them. Batch writing can also get you in trouble if you’re having to go back and edit your posts to fit current times or different blog writing guidelines or styles. If you end up spending your time editing old posts, you’ve essentially made the purpose of batch writing irrelevant. The good news is that with some consideration and timing, you can use batch writing to write more content in less time. I recommend batch writing for no longer than one month out, so that you assure your content is relevant. Every writer has their internal clock of when they’re on point and when they’re not quite there. Some people write their best content in the morning; others write their best content at night when they’re winding down from their day. I’ve been known to write a whole blog post on my tablet while sitting at the airport. Knowing what times of day you’re most productive with your writing, will help you create content faster. Work to organize your schedule so that you’re writing during your peak times. Do your best not to force your content at times when you’re not feeling creative. Doing this will most likely result in more work as you’ll probably have more edits and changes. While batch writing involves sitting down and creating multiple posts at a time, planning and writing ahead takes this a step further by requiring that you watch your deadlines and giving yourself enough time to write and edit your content. If you’re always creating your content hours before it’s due, you’ll be rushed. Rushing leads to grammatical errors and little time to take a step back and look at your work with fresh eyes. If possible, allow yourself 48 hours between your first and final draft. If you research the ideal length of a blog, you’ll get a variety of answers. As of late, the most common finding is around 1,600 words or a seven-minute read. However, not every topic has that much to be said about it. What’s more important is to assure you’re not rambling in your content or using irrelevant or fluff fillers. I recently wrote on this topic in my post about how to create better blog content. The best content is precise and to the point and can keep you on track with the goal of your article. Content that is scattered tends to take longer to research, write and turn into a valuable and comprehensive article. If you can keep your content to one topic, it’s best. If you find yourself with a variety of ideas on the same theme, considering breaking up your content into several posts and creating a series. Don’t feel like you have to cram all of your thoughts and ideas into one post. Today all photos, articles, ads and marketing materials are instantly uploaded to the internet. However, most businesses have content from the “old days” laying around their office, mostly for nostalgia reasons. Most of the time these materials can be digitized to create a list of relevant new content assets for your business. An excellent example of digitizing old stuff is Throwback Thursdays; the popular hashtag that sweeps the internet every Thursday with old memories, mostly in the form of photographs. However, if you have an old picture, advertisement or screen shot of an old version of a product, those can be used for new and exciting content. You can also consider digitizing old newsletters, inserts, and videos. The general rule for content sharing is 70/20/10. Seventy percent of the content you share should enhance your brand or product. Twenty percent of what you post should be the content of others, such as influencers. Ten percent is directly promotional about your product or company. There is so much content already in the world that more content is not always better. Sometimes it’s okay to let someone else say what you want to say and simply curate that information for your audience. If you’re struggling with creating unique blog content, curating can split up the pressure of writing new content multiple times a week. Consider adding a once or twice weekly infographic column or a round-up of great content you’re discovering online and sharing it with your audience. Aside from relieving some writing pressure, sharing others content will help you build relationships with influencers who will hopefully share your content as well. Nearly every business is feeling the pressure of more content in less amount of time. However, “less time” doesn’t mean lower quality. It’s possible to create valuable content quickly and efficiently without sacrificing your writing or losing sight of your strategy and goals. Utilize the resources you have at hand, plan your content and your time, and always be tracking and adjusting your strategy.